With production just on the horizon for the new Deadpool movie, Ryan Reynolds took to his Twitter this morning to reveal a sneak peek at the costume. More specifically you catch a glimpse of the mask and gloves that have been presumably used on the tests that he had discussed a little earlier in February. Reynolds alludes to the release date next year with a crack accompanying the photo, "Sepia tone disguises the fact the mask is ballerina pink. It's early. 365 sleeps early." Ever look at your board game collection and wax nostalgic about the Milton Bradley Real Ghostbusters board game that you had as a kid, then immediately wish that something a little more complex and updated was available for you? Well, wax no longer (that's a phrase, right?) because Cryptozoic has taken to Kickstarter to unveil their all-new Ghostbusters Board Game. The game appears to be a combination of strategy and role-playing with an expandable playing field similar to a Settles of Catan. Which is pretty much all that needed to be said to me. I've backed it and you should too... the more pledges they receive, the more extras and add-ons they'll give everyone. Go check it out! Speaking of Ghostbusters, for about ten years or so I used to run a Ghostbusters fansite called Ghostbusters HQ (or GBHQ) which started back in the early days of the interwebs on AOL. The site went the way of Gozer long ago, with just a shade of its past assembled in place as something of a tribute. 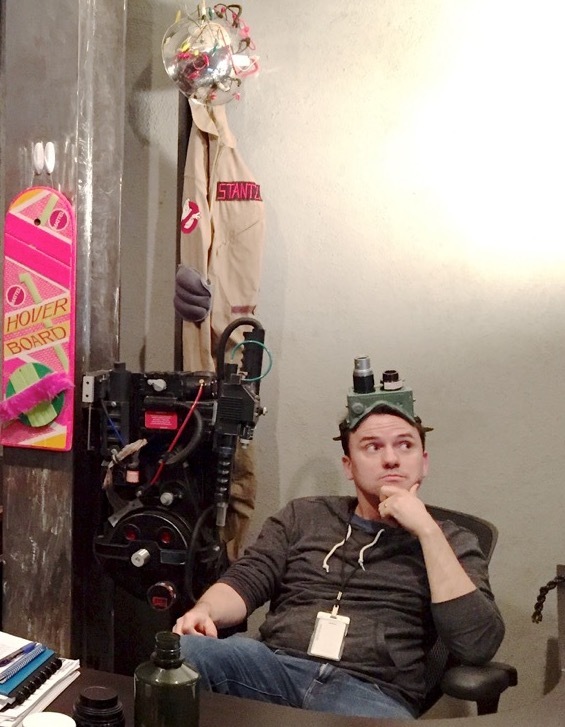 But recently I've had a lot of fun engaging with the social masses through a new Ghostbusters HQ Twitter account. So if you're feeling saucy and looking for another Twitter friend to follow that's all Ghostbusters, all the time. Go check it out! Posted on February 12, 2015 by Troy Benjamin and filed under Bits & Bobs and tagged deadpool ryan reynolds marvel ghostbusters ghostbusters board game cryptozoic ghostbustershq gbhq.